I have tragic eyebrows. 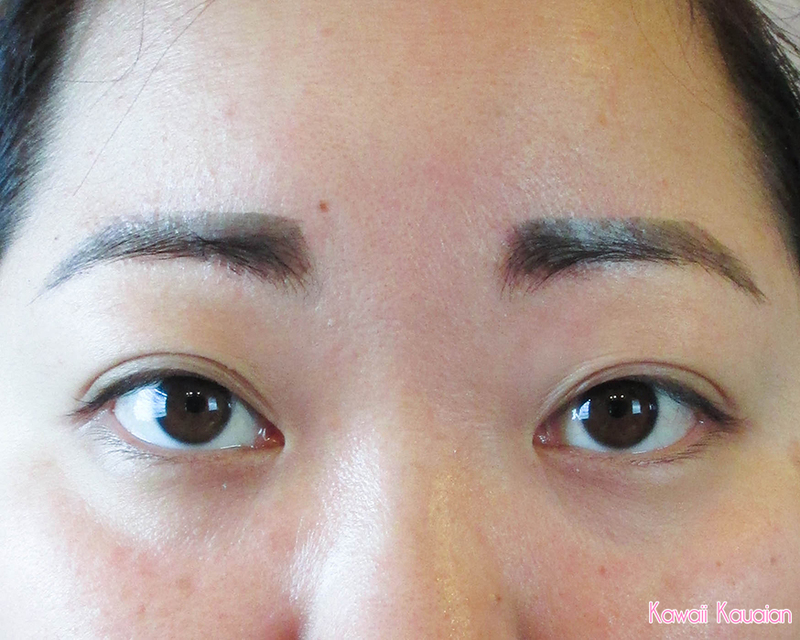 They are typical Asian brows that are sparse, and grow downwards. They have never been thick, and they've been plucked so much that the hair just doesn't grow back. Luckily, I've never plucked them super thin, but they're still pretty sparse. Then I learned about eyebrow tinting, but I thought you had to go to a professional to get it done. But 'lo and behold, there is such a product that tints your brows in the comfort of your own home! And on top of that, it was super affordable. 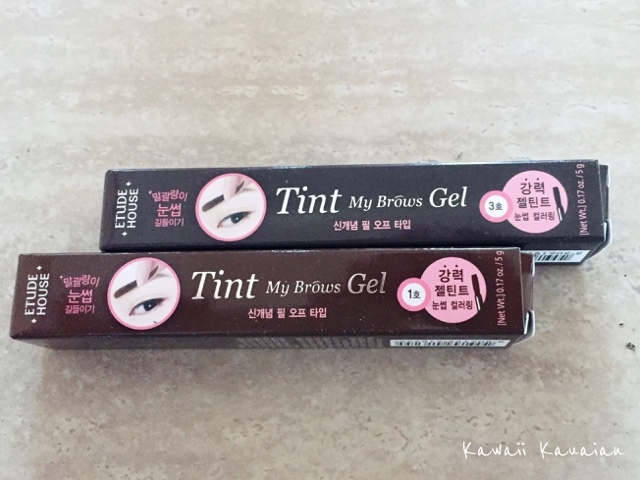 That brings us to the Etude House Tint My Brows Gel! I purchased them from Jolse, but I had to wait a while for them to come back in stock. I have pretty dark hair, so I opted for the brown and the grey brown, just to see the difference. 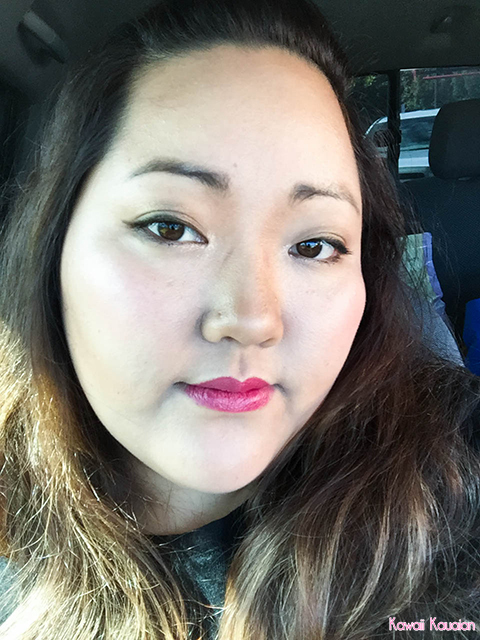 I saw a lot of reviews on YouTube, some horror stories about getting their eyebrow hair pulled out, but most of them had no problem taking the tint off. I bit the bullet and decided to go for it. I decided to try the grey brown color. The tint is pretty gooey. I recommend turning off any ceiling fans because it will dry the product out as you are putting it on. Also, make sure your face is clean. No products at all when you put this on. The consistency of this product kind of reminded me of a wrapping tint, and in essence I suppose that's basically what it is, except for your brows instead of your lips. Putting it on the brows takes a lot of concentration. The applicator is a brush, but it's difficult to get clean lines, and even harder to get a nice tip at the end of your brow. If you mess up, don't bother using a cotton bud because this stuff dries really fast. 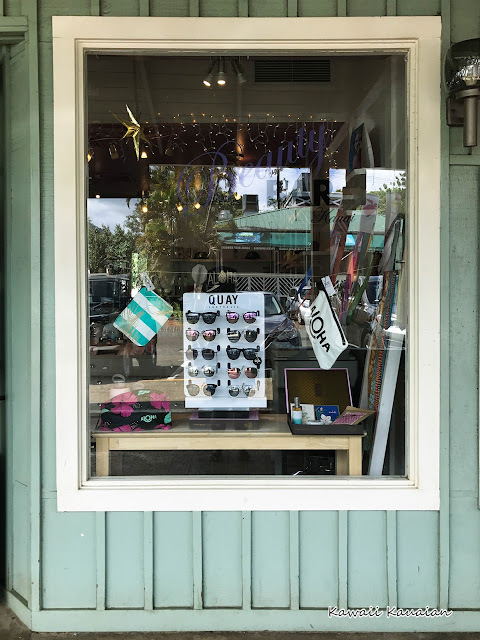 The best you can do is wait until it gets tacky and then scrape off the part you don't want. As you can see, I like my brows large and in charge. So I filled them in quite thickly. 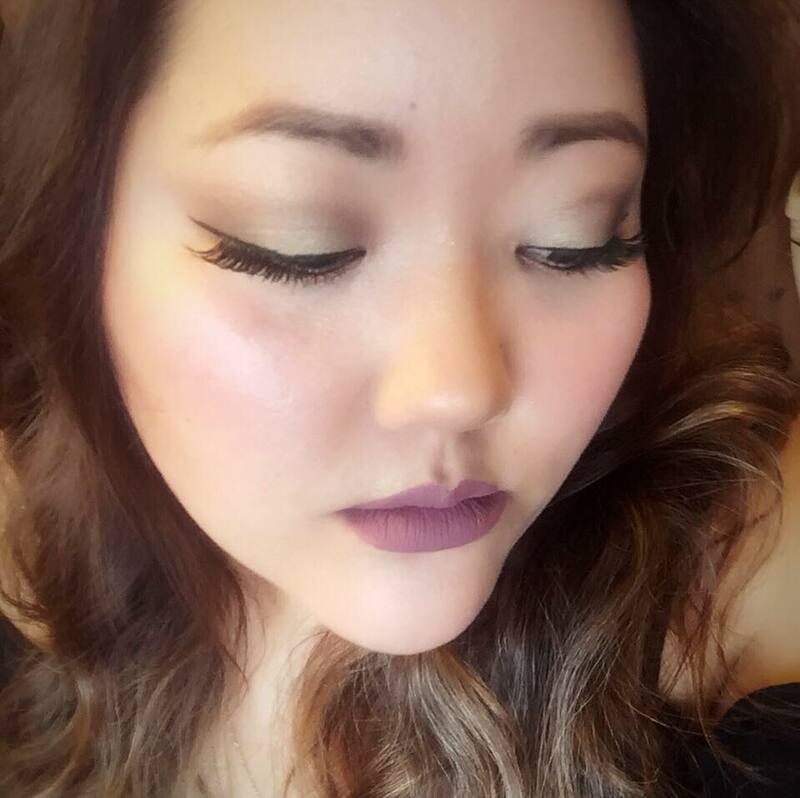 Don't be afraid to put a lot of product on! It looks really shiny, but that doesn't mean that it's still wet. The gel dries in just a few minutes, and it stays shiny like this the whole time. Speaking of time, you need to keep this stuff on for a minimum of TWO HOURS! So do this at night, or when you know you'll be home for a while. For best effect Etude House says to leave it on for eight hours, so I went to bed with it on. The next morning, I had some wow brows. The tint was a pretty dark brown, which goes well with my hair color. At first glance the lines are kind of harsh, but by the second day it toned down. I didn't wash my face in the morning because I did not want to fade my new brows and opted to wash my face in the evening as usual. 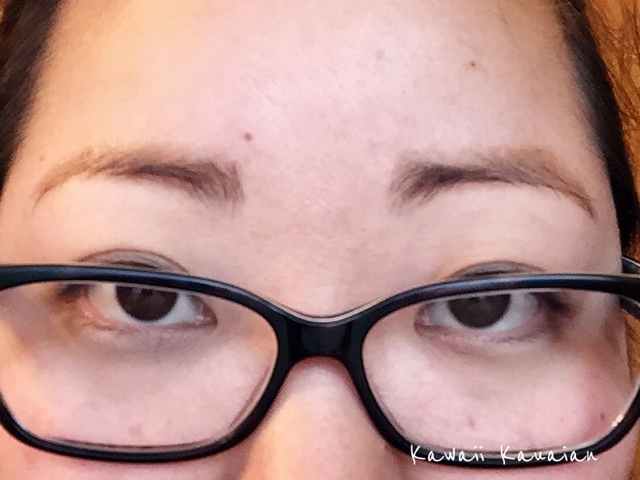 So when I did my normal skincare routine, I tried my best to avoid the brows. 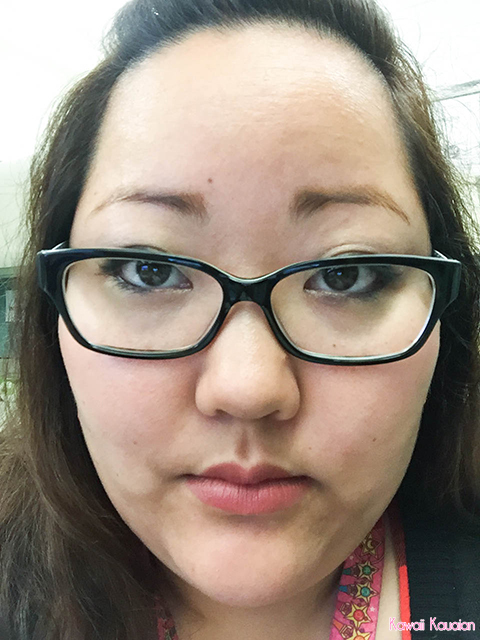 When I washed my face I went around the brows, and I didn't put moisturizer or any other products over them. Despite the precautions, they still faded what I consider significantly by the second day. By day three, there's not a whole lot there. And the color has turned a much lighter shade of brown. It's at this point that I need to start filling again. So, while the color does last about three days, it's nothing very significant by the third day. So, my honest opinion: This is a great product if you don't want to do your brows for a maximum of a couple of days. They're bold on day one, and softer on day two, but by day three they're almost non-existent, no matter how careful you are when you do your skincare routine. It's not a bad investment for just over $7.00, so if you're looking to try it out, it doesn't hurt. I have heard that this tint is only supposed to last around three days, and I suppose that's accurate. 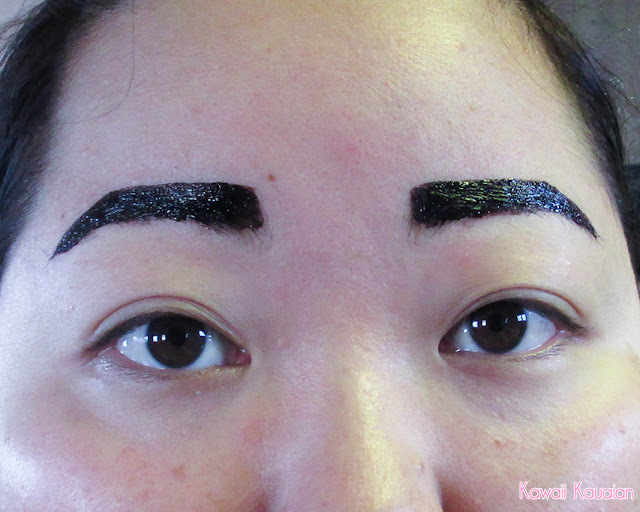 I think if you have more brows than I do, the tint will stay on longer. Since mine was on areas that was basically just skin, those areas faded quickly. 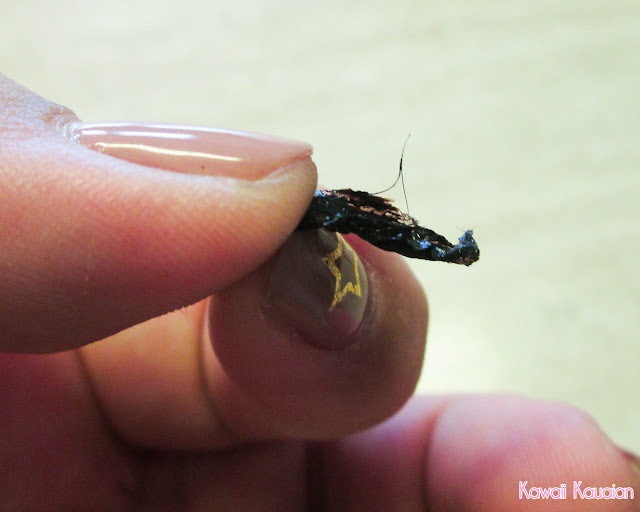 The product peels off quite easily and painlessly, although be aware that some casualties may happen. I've gotten about five or six uses out of one tube so far, so that's not bad at all. I recommend keeping the product on overnight. Don't worry, it shouldn't rub off on your pillow case, but if you're afraid that it will it doesn't hurt to use an old pillow case for that night. I find that the product stays kind of shiny after you peel it off, and that's one thing that I don't really like about it. Despite there being more cons than pros, I still like this product. 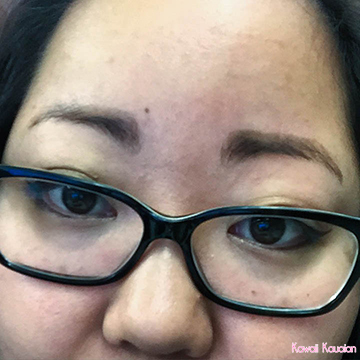 There's some kinks that need to be worked out, but it's a lot better than having to go to a professional to get brow tinting done, and it's a heck of a lot cheaper! I'm on the fence about whether or not I will be repurchasing this product. Maybe if they change their formula to last about five days I would purchase it again, but three days (barely) is not enough of a draw for me. It was definitely fun to try, though!